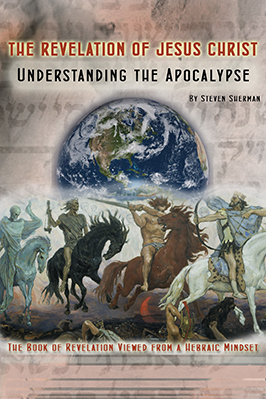 Why is it so Important to Study “Bible Prophecy”? Bible Study rule #1: Study Bible prophecy in proper context! 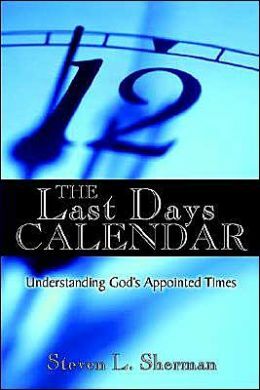 The Day of Trumpets: The 7th Trumpet or Last Trumpet Sounds! Who Are the Twenty-Four Elders of Revelation? The first tabernacle was still functioning in a symbolic way since the second temple was still in use when the epistle (letter) to the Hebrew believers in Christ was written. The great weakness of the Old Covenant was that it dealt with external regulations. The worshiper who offered the proper sacrifices, washed himself ceremonially upon required occasions, observed the regulations as to meats and drinks was accepted into the commonwealth of God during that period. But none of those external ordinances did anything at all to cleanse the consciences of sinners. The blood of bulls and goats, the sprinkling of altars, the ashes of a red heifer, the burning of incense, the washings, etc., none of those things made the slightest change in people’s hearts. After Moses received the Torah by the hand of God, his brother Aaron was ordained as High Priest. Aaron had four sons. His oldest sons, Nadab and Abihu, were struck dead for offering profane fire before the LORD. Nadab and Abihu had no sons of their own. Aaron’s surviving sons, Eleazar and Ithamar, served as priests. They and their male descendants after them served as priests before the LORD from the time that Israel wandered in the wilderness until the time of King David. There were a total of twenty-four heads of families from the tribe of Levi during the days of King David’s reign. The regulation of twenty-four courses of priests rotating to minister in the Tabernacle was established in the days when Solomon had the Temple constructed and continued to be observed until the Second Temple was destroyed by Rome in AD 70. People’s consciences could not be cleansed by doing the works of the law. The blood of bulls and goats could not take away sin. A good conscience becomes reality when a person receives the gospel of Christ through faith and repentance. He or she testifies of the inward work of grace by baptism, and rising to walk in newness of life. According to the account found in the first two verses of Genesis chapter 12, Abram had been promised that the LORD would make him into a great nation and would bless him if Abram would leave his country, his people and his father’s household and go to the land that the LORD would show him. Abram had made the arduous and dangerous thousand mile journey. First Abram transported his family, servants, goods, and animals on a hard trek from the Chaldean city of Ur to Haran, and then from Haran to Canaan. To order, click on picture of book cover.